NZD is getting strength by New Zealand Business PMI and oil prices and at the same time it is under pressure due to the positive US economic data and New Zealand Building Permits. 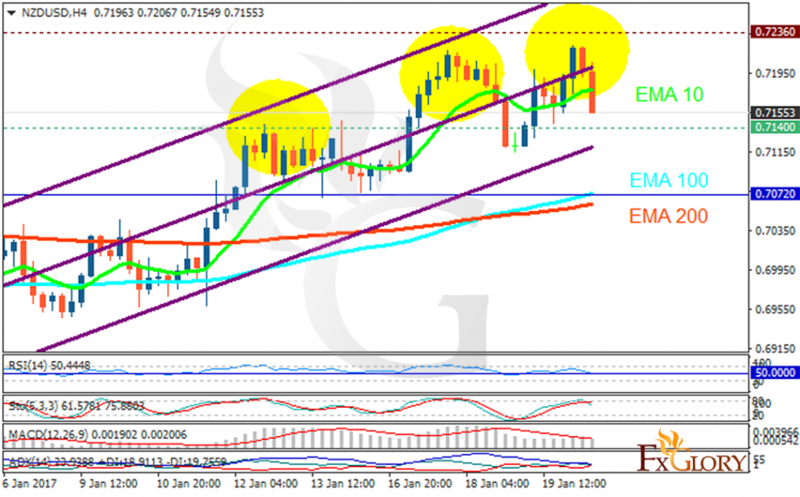 The support rests in 0.71400 with resistance at 0.72360 which both lines are above the weekly pivot point at 0.70720. The EMA of 10 is moving with bullish bias and it is located above the EMA of 100 and the EMA of 200. The RSI is moving on 50 level, the MACD indicator is in positive territory and the Stochastic is showing downward momentum. The ADX is not showing any clear signals. The price is declining targeting 0.7100.